Black Sand Beach in a Hawaii. Punaluʻu Beach (also called Black Sand Beach) is a beach between Pāhala and Nāʻālehu on the Big Island of the U.S. state of Hawaii. 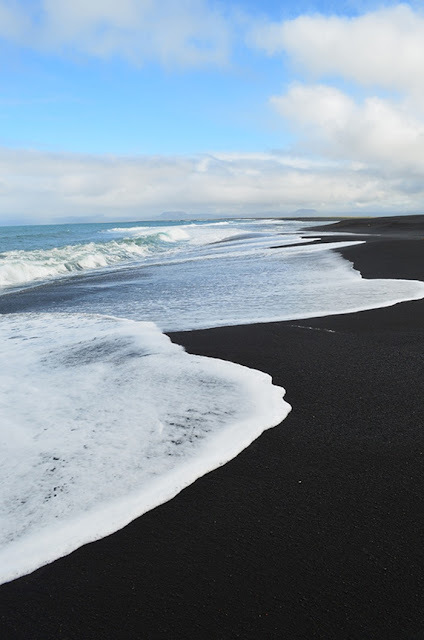 The beach has black sand made of basalt and created by lava flowing into the ocean which explodes as it reaches the ocean and cools. This volcanic activity is in the Hawaiʻi Volcanoes National Park. Punaluʻu is frequented by endangered Hawksbill and Green turtles, which can often be seen basking on the black sand.